After the realization of the Roma colosseum, Barrisol follows once again Massimiliano E Doriana Fuksas in a conceptual realization, design and all in roundness. 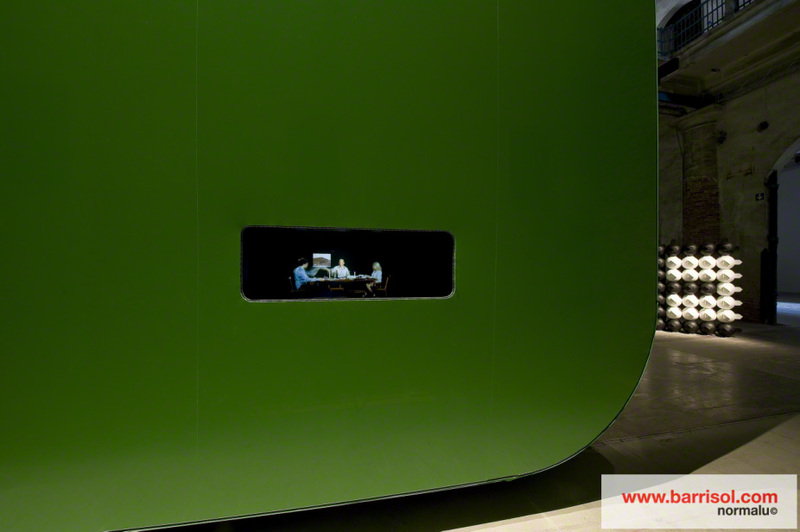 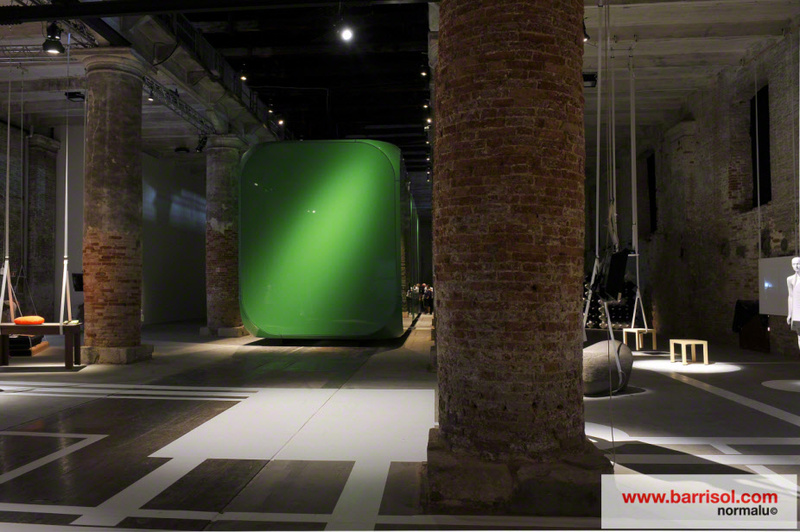 Installed on 400 m² in the Kensington garden in Venice, these three architectural structures were created with the green lacquer Barrisol sheet. 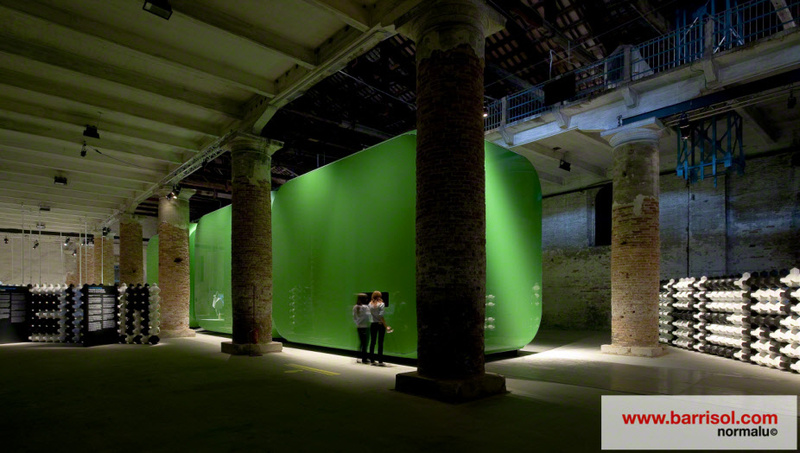 They represent three experimental houses which reveal the daily human life and its contradictions. 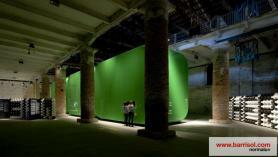 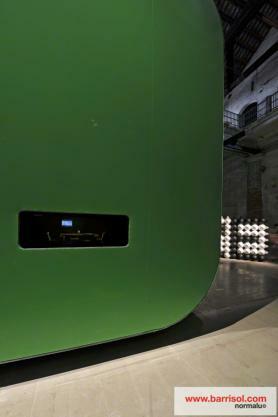 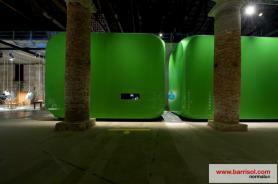 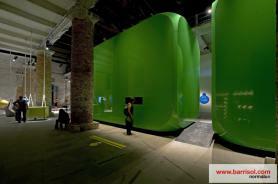 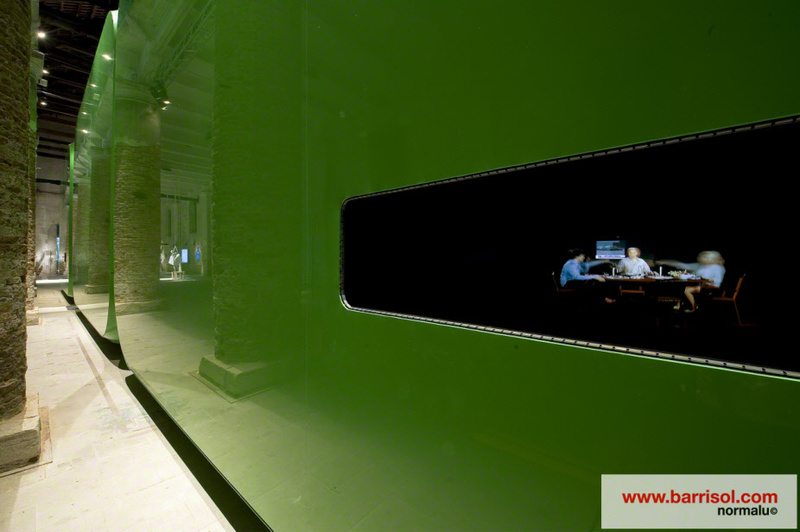 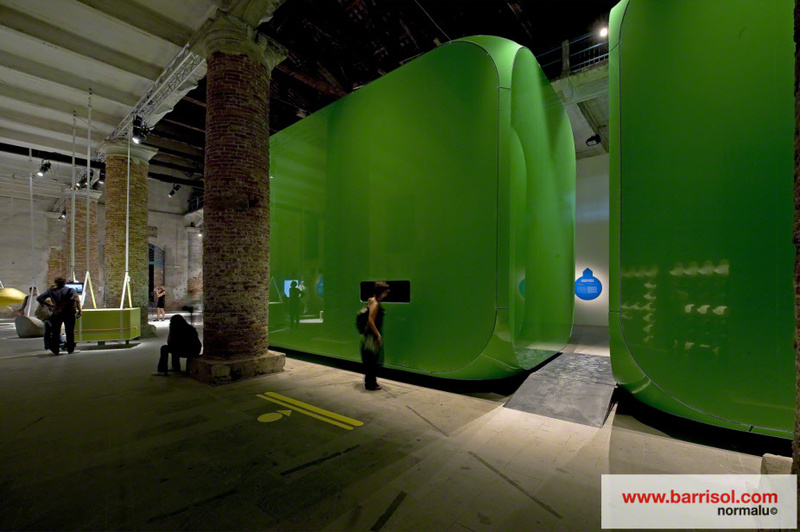 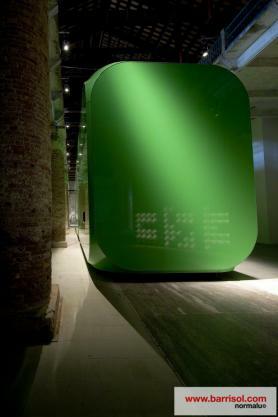 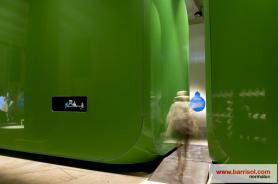 As event structures, these big green boxes show what occurs "behind the buildings" and attract visitors' curiosity.